To recap, the new paper (Bromaghin et al. 2015 2014, in press) took numbers from previous studies that revealed a statistically insignificant decline from 2001-2006 and formulated a new kind of model that suggested the decline had actually been more severe, between 25-50%. The only new data reported was collected between 2007 and 2010 (details here). Survival of polar bears started to improve markedly by 2007 (a year of very low summer sea ice) and the population had recovered by 2010 to ~900 (range 606-1,212). The authors looked, but found no correlation of the decline with summer sea ice conditions as predicted by the IUCN Polar Bear Specialist Group (PBSG) earlier this year. 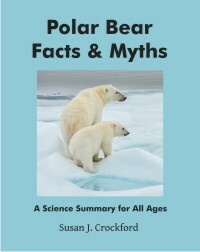 However, the USFWS reported in their 2013/2014 Polar Bear Newsletter [pdf here, pg. 17, lower right] that their fall aerial survey results showed that in 2012 the population was “high” compared to previous years and that bears were in “average” condition. Why would the authors of the 2014 paper cherry-pick their end dates, when they had to have known when they submitted their paper for publication that the population size had continued to recover beyond 2010? I suggest the reason is this: according to the USGS press release (pdf here), the 2010 estimate of ~900 bears (range 606-1,212) will be included in the next Polar Bear Specialist Group (PBSG) Southern Beaufort Sea (SBS) assessment. And here’s why that fact is crucial: As I said in a previous post (“BBC provides a forum for desperate biologists“), a new polar bear assessment is due by June 2015 (7 months from now) and the IUCN is demanding an argument with the kind of numbers that come from mark-recapture work. Because there were some serious problems identified with the previous Southern Beaufort Sea population assessment (Regehr et al. 2006), discussed here, the PBSG needed another SBS study to use for the upcoming 2015 IUCN assessment — this one (Bromaghin et al. 2015 2014, in press) is it. The new method of modeling population estimates developed by Bromaghin and colleagues gave a result that just happens to be what the PBSG need to ensure the bears ‘threatened’ status is upheld. 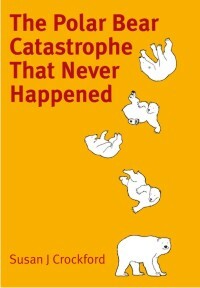 Stopping the study in 2010, which added only three years of new data, made a significant contribution to this desired result — the appearance of a population in decline. The bottom line is this: the authors knew that data existed showing the population had continued to increase beyond 2010 but they failed to mention that fact in their paper, in the press release or in their interviews with the press. Another instance of withholding data. Bromaghin, J.F., McDonald, T.L. and Amstrup, S.C. 2013. Plausible combinations: An improved method to evaluate the covariate structure of Cormack-Jolly-Seber mark-recapture models. Open Journal of Ecology 3:11-22 doi: 10.4236/oje.2013.31002 Open Access, pdf here. Bromaghin, J.F., McDonald, T.L., Stirling, I., Derocher, A.E., Richardson, E.S., Rehehr, E.V., Douglas, D.C., Durner, G.M., Atwood, T. and Amstrup, S.C. 2015 2014 in press. Polar bear population dynamics in the southern Beaufort Sea during a period of sea ice decline. Ecological Applications 25(3):634-651. http://www.esajournals.org/doi/abs/10.1890/14-1129.1 Open Access. Polar Bear News 2013-14. 2013. 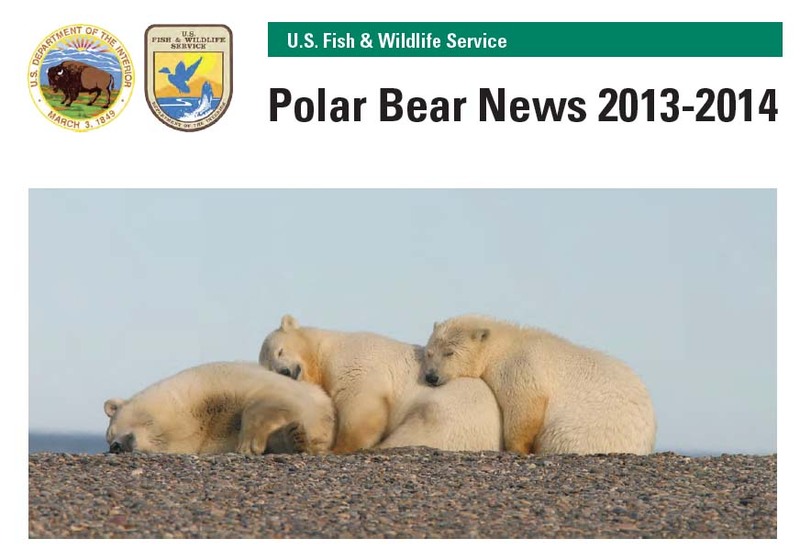 Polar bear newsletter of the US Fish & Wildlife Service, Anchorage, Alaska. Pdf here. 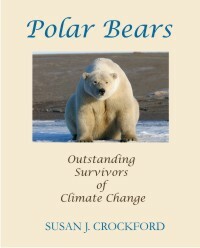 This entry was posted in Advocacy, Conservation Status, Population and tagged abundance, aerial survey, Beaufort Sea, Bromaghin, cherry-picking, IUCN, mark-recapture, models, PBSG, polar bear, population estimate, population recovery, Regehr, satellite collars, sea ice, Southern Beaufort, thick spring ice, USFWS, withholding data. Bookmark the permalink.